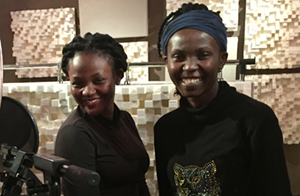 Kwaya is an unrivaled choir library offering authentic African voices and chants. 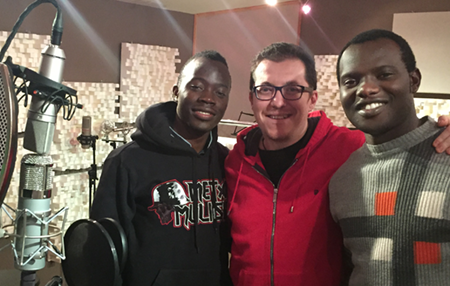 With Aba Taano from Uganda, Eduardo Tarilonte has found the perfect choir for this long and intensely prepared project. 40 different syllables have been recorded for each singer. These can be switched exactly in time by using keyswitches. By using five “True Legato Vowels (a, e, i, o, u), these syllables can be combined in a most natural way. In addition, there is an extra “mm articulation being unmistakably typical for East- and Central-African chants. All syllables can be played as solo voices or within an ensemble. Here, you may chose between short and longer articulations for the syllables. For the short syllables in particular, the speed of each individual syllable can be fine-adjusted in the phrase arranger. Although Kwaya is founded upon over 10,000 samples and 7 GB of data (lossless compressed to 5 GB), it is really straight-forward and easy to use. The library offers a set of 20 different phrases which eight syllables each. These can be changed using the keyswitch function and edited in the phrase arranger. Here, you can chose between 40 different syllables, five vowels and the “mm articulation. After having selected the syllables, you just need to decide between short and long articulations. There is full NKS support for Native Instruments Komplete Kontrol controller-keyboards. To add special highlights to the vocal arrangements, a comprehensive collection of over 700 vocal effects have been that can be played as phrases along to the syllables of the choir. Finally, Kwaya also offers a choice of soundscapes with atmospheres ranging from harmonic to sinister. The recordings of Kwaya took place in the Spanish Eldana Studio, where Eduardo Tarilonte already worked on different instruments for Era II. This small studio offers wonderful acoustics and excellent technical equipment. The singer of Aba Taano have been recording via an API preamp using a U47, a unique microphone perfect for voices that has been carefully designed by Pablo Kahayan. Quality wise, this adds that certain something to the library. Eduardo Tarilonte then carefully selected the best and most harmonic coherent tones out of the multitude of recordings. Because of the sensitive recording process and the excellence of the signal chain, the voices could almost be left unaltered to deliver most natural sounding results. Consequently, the sound sources give you free choices to process and edit in order to embed the voices of Kwaya into your productions.